Made from rough, sturdy, handmade batik cloth. As these bags are made from one-off batik cloth pieces, each products cloth pattern is unique. Available in cold tones and warm tones. Size 43cm x 37cm. Made from rough, sturdy, handmade batik cloth, pattern designed by Penduka artists from the slums of Katutura district, Windhoek. 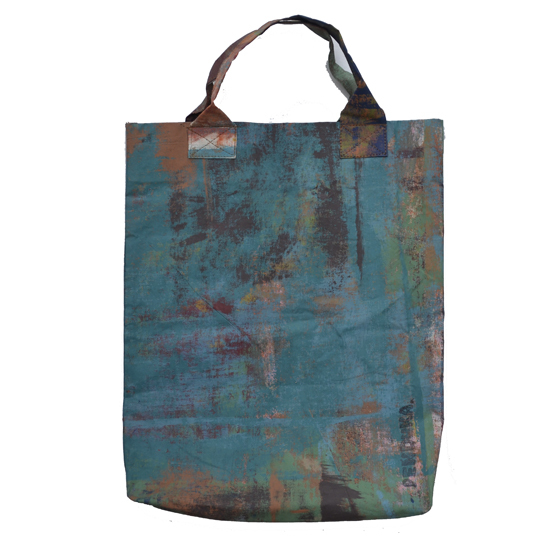 As these bags are made from one-off batik cloth pieces, each product is unique. The cloth is produced on 7 m long batik tables, adding layers of colour over various production steps, creating an individual, cracked look, sometimes taking days to finalize. Available in cold tones and warm tones. Size 43cm x 37cm.